Throw back to my second year! It’s crazy how time flies. I’m graduating college in nine days. So many changes have happened in my life in such a short period of time! Four years sounds like a long time as a first year student, but it goes by in the blink of an eye. I want to say I’m going to miss college. It’s “the best four years of your life”, right? 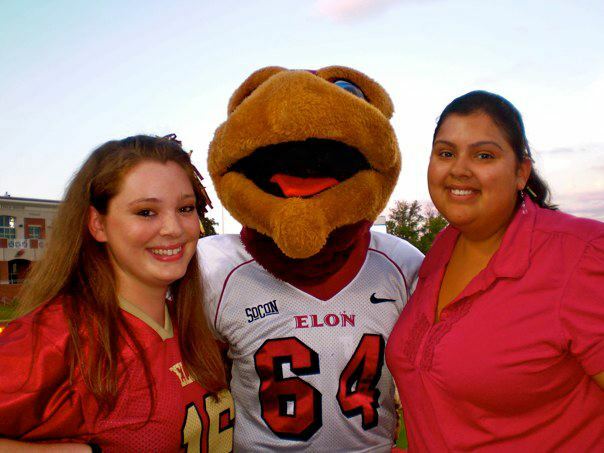 But honestly, there isn’t much I’m going to miss about Elon besides having friends nearby. Part of me wishes I had more time to participate in the community, but that’s only because this was the first year I’ve actually been able to do that in a meaningful way. I think I will miss being challenged intellectually. I really enjoyed the discussions I had in some of my classes. Where else do people come together and devote their time to dealing with complicated issues and new ideas? But I’m tired of talking (and writing essays) about these ideas; I want to act on them. I feel ready to move on to the next stage of my life. I want greater intellectual challenges and opportunities for community. I want to start a career that allows me to be the person I became through this experience and helps me continue to grow. The other day I was walking past the small downtown streets of Elon. The bricks led me past the pizza place, coffee shop, and student theater. I smelled the honeysuckle in the air. I looked up into the canopy of ancient oaks. I heard the train blow past the school, just like it does every day at 5pm. And I realized that no matter what happened to me here, good and bad, it’s still my home, and I love it. I won’t miss Elon, because I’m taking Elon with me (No, I haven’t stolen a brick yet!). Everywhere I go, I will remember the friends I met, the professors I was honored to work with, and the memories I made that make my heart swell with warmth. The same itch that had you to get out of the nest as a high school senior is the same itch you get as a college senior. It’s a restlessness that is filled with nervous excitement and the knowledge that something amazing is about to happen. But one of the first things you learn when you get to college is how awesome your mom’s cooking is, how warm your old bed is, and how far away your friends are. I am relearning all this now that I’m leaving home for the second time. But, this phoenix is flying the coop, because there is much more to experience in life, and I am so ready for it.